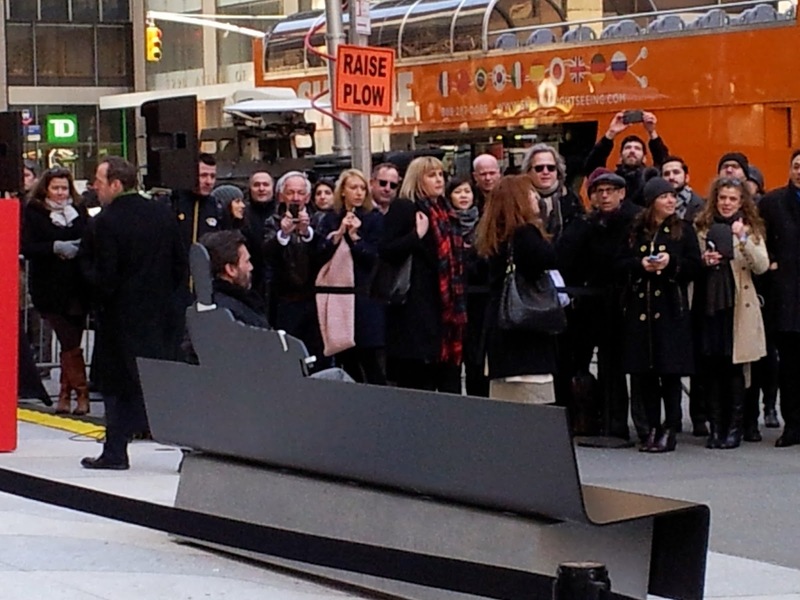 This morning, I braved the bitter temps (on this particular spring morning it, was in the low 20s, accompanied by a refreshingly brisk breeze) to meet my friend Steve to attend a public art unveiling in midtown Manhattan. 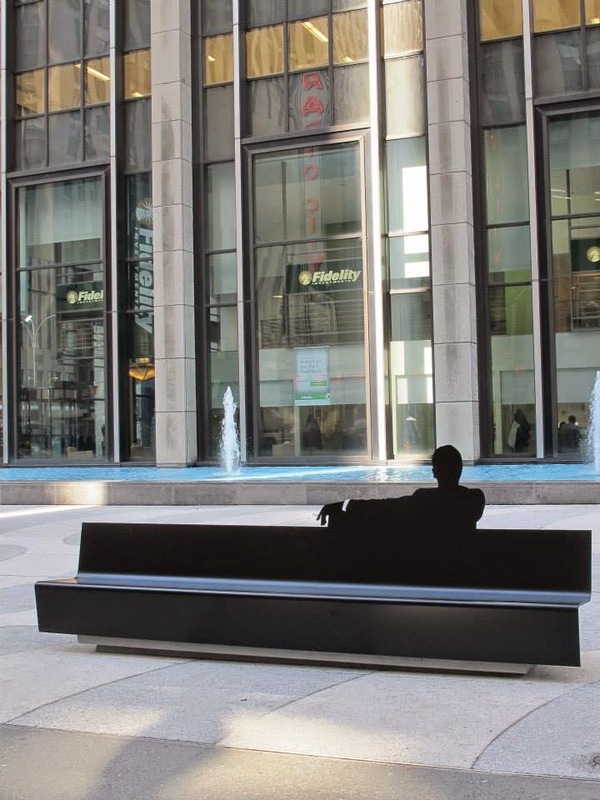 The undisclosed piece of public art, located in front of the Time & Life Building near Rockefeller Center, is commemorating the final season of the popular AMC series "Mad Men," which premiers next month. The installation location was chosen because the Time & Life Building is home to the fictional offices of Sterling Cooper Draper Pryce, Mad Men's infamous ad men. Word on the street (i.e., the internet) had it that several well-known members of the cast would be in attendance at said unveiling. "How exciting! My first chance to see celebrities in NYC!" I thought to myself. And best of all, they would be pointed out to me so I would not have the pesky task of actually trying to identify them in random situations! (I think I suffer from a bit of face-blindness...) It just so happens that I am a long-time (pre-Mad Men) fan of John Slattery, who was rumored to be in attendance, and I am just a little bit obsessed with seeing celebrities in general (um, Jon Hamm??? ), especially now that I live in NYC. Luckily for me, I had nothing better to do at 10:00 on a chilly Monday morning, so I bounded out of bed and hit the streets of midtown. My friend Steve got some great photos. Most of the photos below that are actually any good are probably his. Thanks Steve! 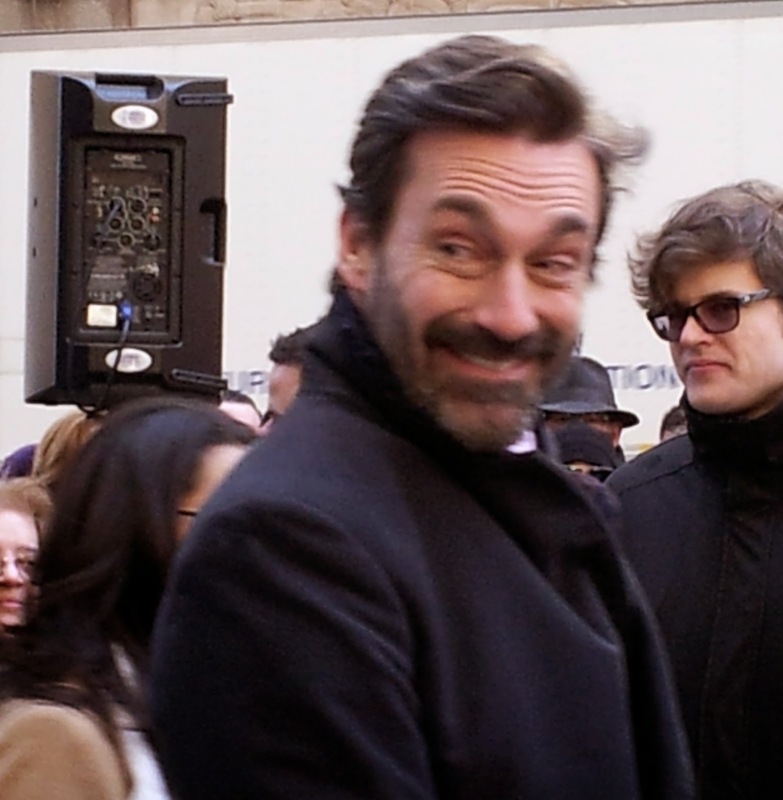 Steve got this great shot of Christina Hendricks (and Jon Hamm) so I am stealing it. 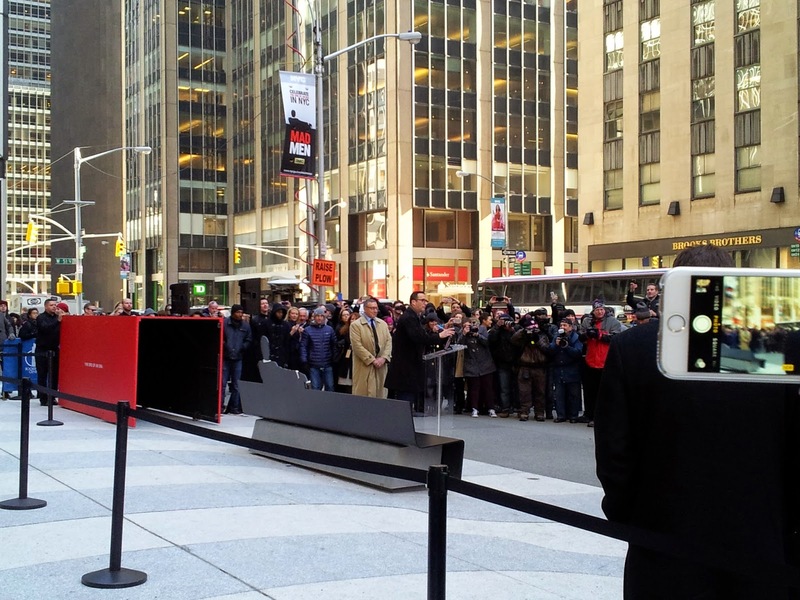 The unveiling: oh, look. It's a bench. Pentagram, the firm that designed this snazzy bench, posted this pic on their website. Steve and I are visible in the crowd at the far left of the frame. Of course I had to sit on the bench right where Jon Hamm sat, a mere hour after he sat there!